Madagascar is currently in happy mood in celebration of victory of new CAF President, Ahmad Ahmad. 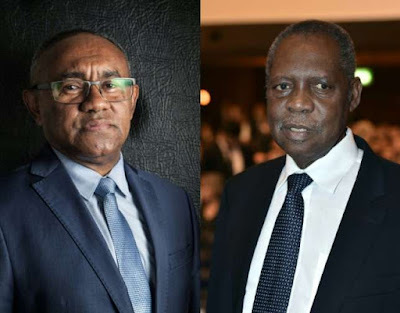 In the election, which was held at CAF’s 39th General Assembly in Addis Ababa, Ahmad defeated Hayatou in a shock result after picking up 34 votes to the 70-year-old’s 20. Zimbabwe football officials lift Ahmad Ahmad in the air as they congratulate him for defeating Issa Hayatou. Ahmed Ahmed, CAF's newly elected president, lifted by Zimbabwe officials, rejoicing for his election victory.